We offer a range of instruments and music groups for students to enjoy. 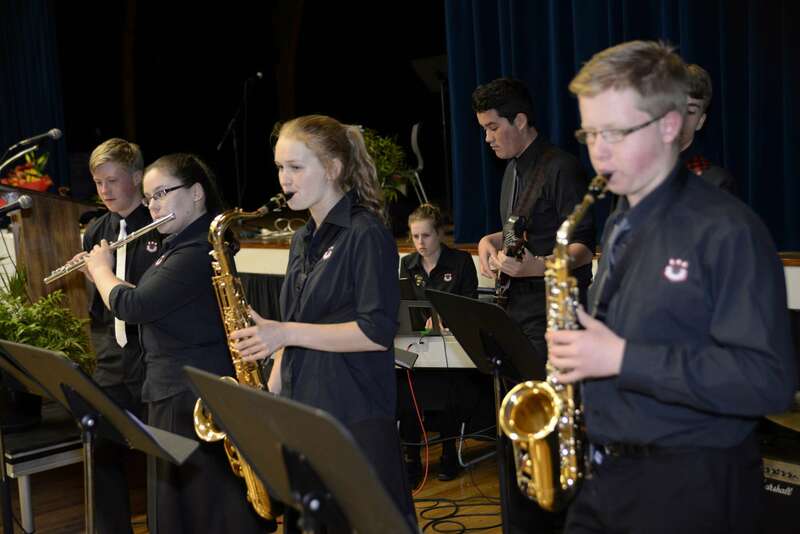 The groups range from beginner to auditioned and include Rock Bands, Big Band, Jazz Combo, Orchestra, Concert Band, Choir, Chamber Ensembles, Singer Songwriters Club, String Orchestra and entries to Rockquest, Manawatu and Wellington Jazz Competitions, Big Sing and Chamber Music Festivals. Each group regularly performs in school assemblies and in the community.